Last Friday, a gang of “Proud Boys,” under police protection, staged a violent homophobic assault on anti-racist activists on the streets of NYC’s Upper East Side. This latest attack follows a sharp spike in anti-Semitic, Islamophobic, and xenophobic violence around the world since the November 9, 2016 election, from Chemnitz to Charlottesville. November 9th also marks the 80th anniversary of Kristallnacht – the “November Pogrom” in which German nationalists, under orders from the highest levels of the Nazi regime, murdered, raped, and brutalized thousands of Jews and desecrated over 1,200 synagogues. But today, Jews are fighting back, as we always have. And today, in the spirit of centuries of our peoples’ resistance to racism, fascism, and carceral capitalism, we call on Jews everywhere – together with our allies – to join in a global wave of action to #CancelFascism this November 8-11. We are Jews of the Diaspora, grandchildren of the Shoah, heirs to the antifascist resistance. Today, we say that a pogrom against any of us is a pogrom against all of us. Our blood isn’t cheap: Violence against our communities will not be ignored. Violence against racial, religious, sexual, and gender minorities will not go unchallenged. Nor will the government that sanctions this violence, the church that blesses it, or the ruling class that profits from it. On November 8-11, we will sing out and celebrate the survival of our peoples. We will say Kaddish for those who gave their lives in the fight against fascism. We will engage in acts of Kherem and ritually excommunicate those Jews who aid and abet the fascists of our time. And we will march on the institutions, the political parties, and the private businesses that collaborate with their genocidal agenda. At the same time, we will show the world that the real threat to our security as Jews isn’t our Muslim neighbors, but “Western Chauvinists,” Christian supremacists, and white nationalists – the would-be pogromists of our day. 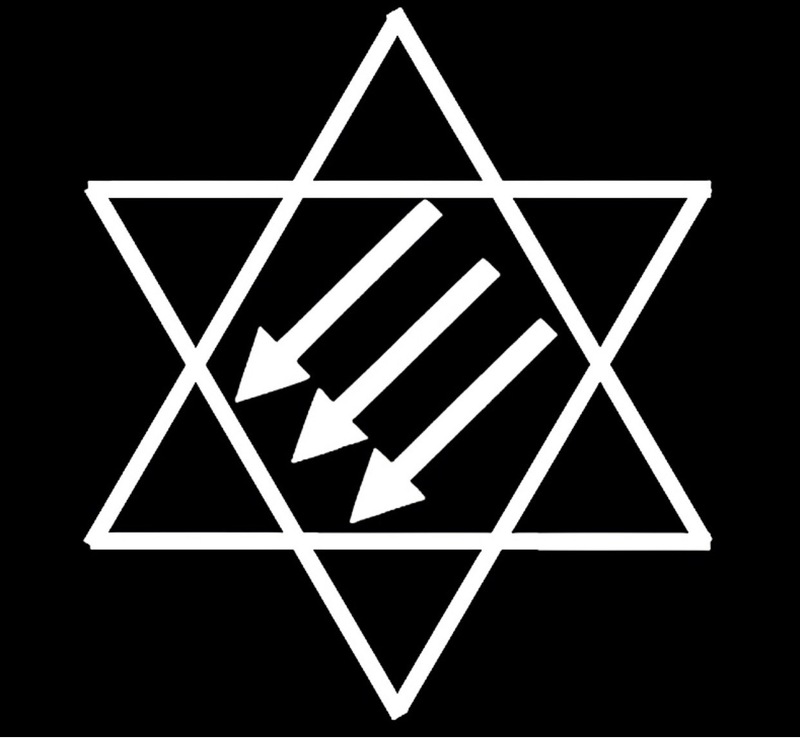 Starting now and continuing through 5779 and beyond, we will (re)build an international network of anti-fascist Jews and our allies. From the streets where we live to the places we work and play, we will organize to defend all of our communities from those who would exterminate us. We invite you to join us in the fight: For a world without pogroms. For a future without fascism. Mark your calendars for 11/8 – 11/11. Call your own people to action on these dates, in solidarity with this call from within the Jewish community, and with the International Day against Fascism and Anti-Semitism,* using the hashtags #AntiFascistFall #CancelFascism #OutliveThem. Share word of this weekend of action widely. Craft your own call: use or edit our words, images, and resources as you see fit. Come up with the strategy best suited to your ’hood, town, city, and region, and identify local targets for nonviolent direct action. In unity is our strength. Reach out to other groups already resisting the far right and state terror in your area or start your own. Organize an action together. Forge alliances with other oppressed communities that will endure beyond #AntiFascistFall. Document your actions and those of the oppressors. Share images, stories, and reportbacks with your social networks using the hashtags. Then share them with us at wewilloutlivethem@protonmail.com. Please include only as much identifying information as participants consent to give. Be safe, be smart, and be dangerous. Consider the needs, capabilities, and vulnerabilities of the people in your crew. Plan lower-risk actions that everyone and their yiddishe mama can participate in. People may or may not choose to plan higher-risk actions. We ask that all who answer this call be prepared to support one another in the event of arrest, detention, or repression. * This action is in solidarity with but organized autonomously from the International Day Against Fascism and Anti-Semitism, observed in Europe and elsewhere since 2013. This November, we remember. This November, we organize. This Kislev, we fight back.